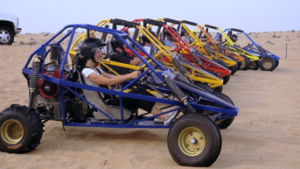 Green Tours Dubai lets you to have the ultimate and remarkably adventurous Dubai Dune Buggy Safari Tour that makes your trip to Dubai more exciting for sure. It is not a justified situation when you went to a desert and do not have some off track sports just in between the sand dunes. 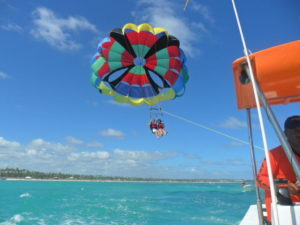 It will make your trip more thrilling and let you to experience something else then the traditional camel ride and other sand adventures. We make sure that you will get a comfortable and secure safari experience here with us and make all of the prior arrangements for you. It is like a spending a day with amazing adventurous games and then having a beautiful sunset that turns into amazing evening to give you a desert night experience that will remain fresh in your mind. Riding through the sand dunes without track in all ups and down with full force is entirely different experience that you will get on a Dune Buggy Dubai. 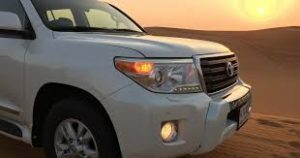 Firstly a drive through the desert on your dune Buggy dubai and then having camping in the mid of desert after watching the sun set, It is something that is exceptionally wow. In the evening you will get much more to do around and have a relaxing desert night after some tiring adventures is really a good combination. 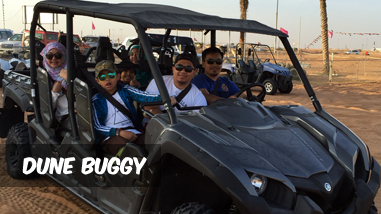 Your Dubai Dune Buggy Safari Tour will be secured and personalized with us. On your demand we plan it especially for you and with other mates as well. Our well trained officials and up to the mark and ultimate Dune Buggy Dubai makes it secured for you to more around easily. In case you are going out of direction then our guides are just around the corner to let you know the exact direction and bring you back towards the route that is not really defined. We consider your security and priority first so we give you the best of all. To have the ultimate off road desert adventure in the deserts of Dubai and have a memorable Dubai Dune Buggy Safari Tour contacts us now. We are the proud providers of the best and ultimate services to you all the season with exceptional care and most promising perks as well. Make your online and offline bookings from anywhere in advance and on instant basis as well.